The MT500 Waterproof Jacket II offers ultimate levels of protection, an ergonomic cycling fit with great looks too. The ExoShell60 3-layer fabric with fully sealed seams has exceptional levels of waterproofness and breathability to keep you comfortable in a whole host rough of weather conditions. Cordura® shoulder panels are highly durable and well-placed stretch panels ensures great freedom of movement in use. The main zip closure on the front of the jacket is a Vislon zip which is water repellent and is back up with a full storm flap. A great fit is assured with the inclusion of adjustable cuffs and hem as well as an internal stretch cuff. The MT500 Waterproof Jacket II offers ultimate levels of protection, an ergonomic cycling fit with great looks too. The ExoShell60 3-layer fabric with fully sealed seams has exceptional levels of waterproofness and breathability to keep you comfortable in a whole host rough of weather conditions. Cordura® shoulder panels are highly durable and well-placed stretch panels ensures great freedom of movement in use. The main zip closure on the front of the jacket is a Vislon zip which is water repellent and is back up with a full storm flap. A great fit is assured with the inclusion of adjustable cuffs and hem as well as an internal stretch cuff. Please see below for delivery options for Endura Mt500 Waterproof Jacket 2 2018. 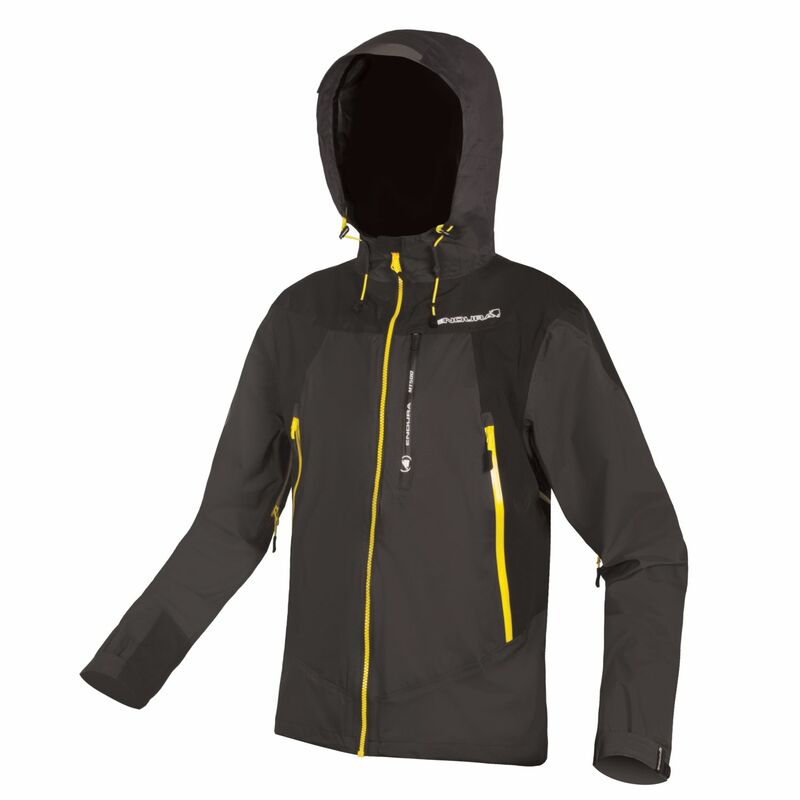 "Great jacket, great price and quick delivery. Would definitely shop here again"
"I’d bought this as I only had a single layer helium jacket that didn’t fit over my gut anymore. This jacket is as good as £300 north face walking jackets. If not better , I’ve ended up buying two as i wanted to keep one mid free. " "Love this jacket. It's a little to good to actually ride with and get dirty. Clearly designed and tested by people that rides bikes. Zips are strong and glide well. air vents positioned well to open and close with ruck sack on. big hood with draw strings. Not overly warm but wind proof enough.Not tested in full rain yet.But the construction leaves me in doubt it won't let me down in heavy rain. It does seem to breath well.i prefer the this older version over the new version, as i prefer the all in one colour, and not the newer half and half colour. " "Bought the orange as I like to be seen, while I commute to work also with it. Orange was also on sale, which made it well worth the money and made it easy to decide. I've been riding with it a couple of times now and it seems to breath way better than my previous Gore Tex jacket. Went for XL, which is one size bigger than I normally use, and the size is somewhat perfect. A bit loose from the bottom, but can fit several layers underneath because of it. Long enough sleeves to hold on top of gloves. The hood fits on top / over both helmets I use (not full face). So far very satisfied." "Bought this to replace a 20+ year old Freestyle Goretex jacket. I ordered it (a bit last minute) for the Tour de Ben Nevis - it arrived very quickly and was the perfect jacket for the event!"